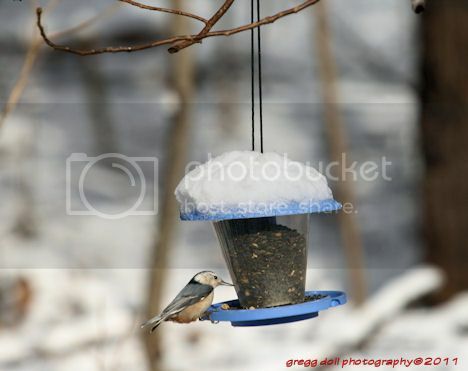 These pictures show the birds that frequent the back yard. 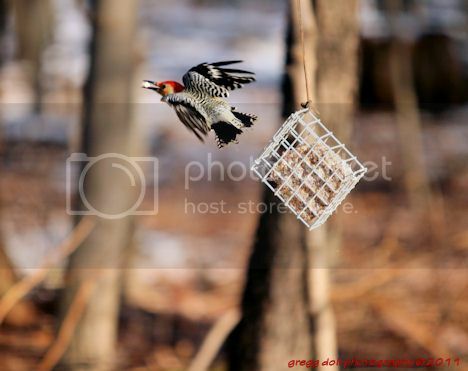 My objective was to show the birds in flight as they approach and leave the feeders rather than just showing them sitting on the feeders. 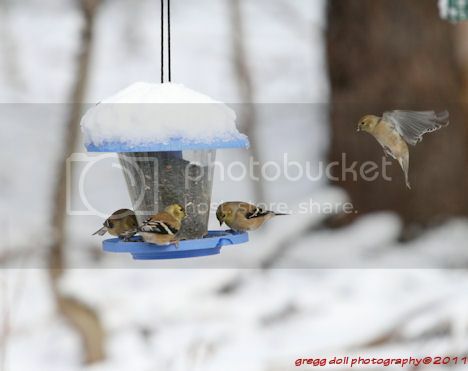 Gold finches feeding at one of the replacement feeders. 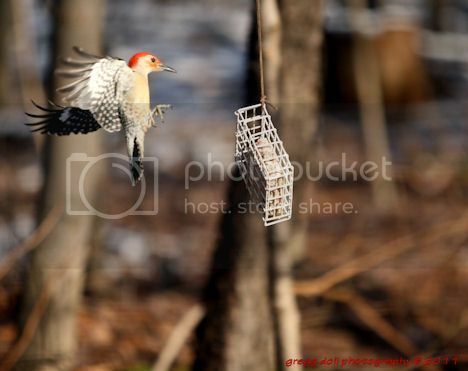 Red-bellied Woodpecker just starting to spread it's wings before taking off from the suet feeder. 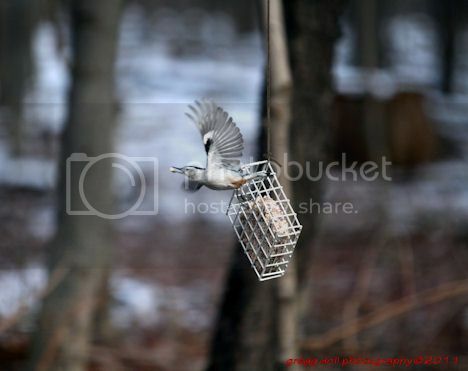 White-breasted Nuthatch landing on the suet feeder. 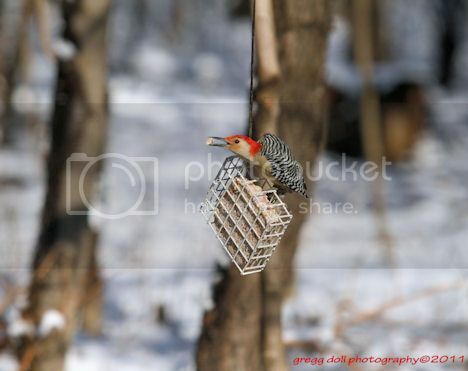 Red-bellied Woodpecker leaving the feeder. 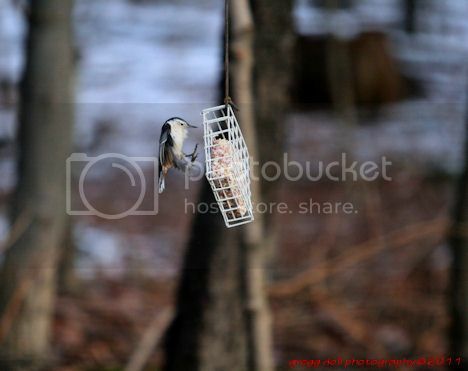 White-breasted Nuthatch approaching the feeder. 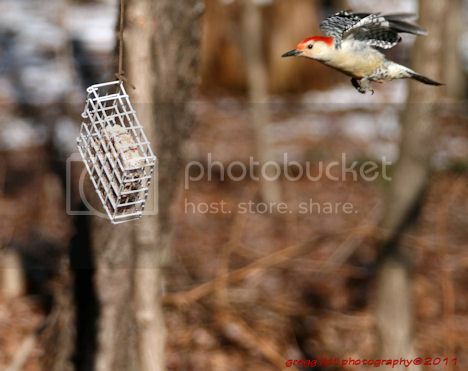 Red-bellied Woodpecker getting read to land on the suet feeder. 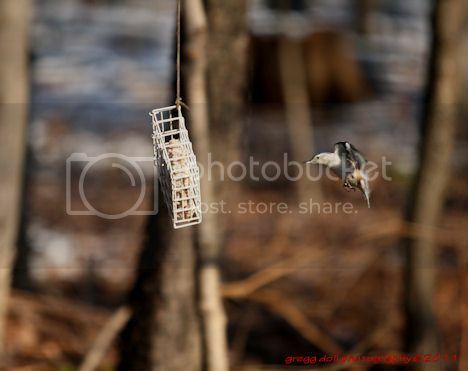 With one food still holding onto the feeder the Nuthatch takes off for the nearest tree to eat it's suet. 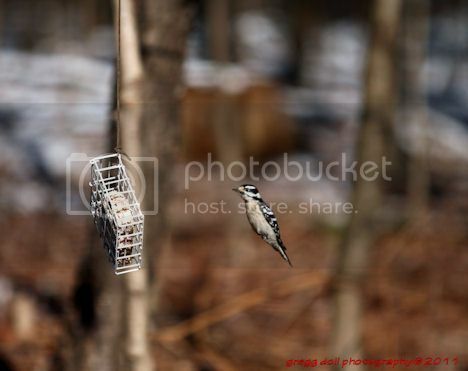 Male Downy Woodpecker just before he puts on his brakes and extends his wings for landing on the suet feeder. 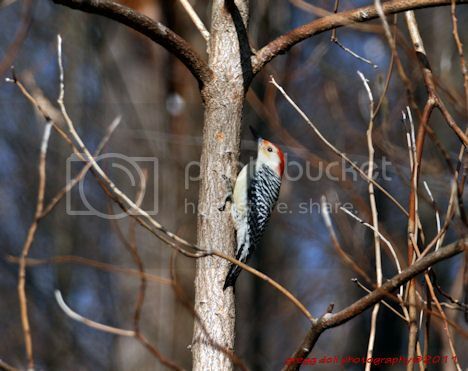 Red-bellied Woodpecker on a tree before heading to the suet feeders.